Is This Artwork From Mistwalker's Next Game? 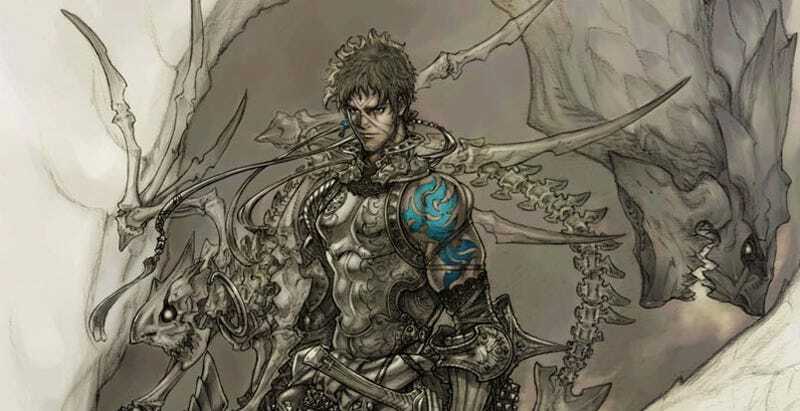 The official Mistwalker web site features brand new artwork from character designer Kimihiko Fujisaka, artwork that may be an early look at the role-playing game developer's newest project. We've got plenty of RPG staples here: ludicrously unwearable armor, gargantuan swords, dragons, presumably tormented male protagonist. What we don't have: much of an inkling about what this project might be. It could certainly be artwork from in-development title or something that's been canceled — like Mistwalker's nixed Cry On. Despite the presence of blue and dragons, it doesn't fit visually with Mistwalker's Blue Dragon series. Any guesses? Big, big image after this.